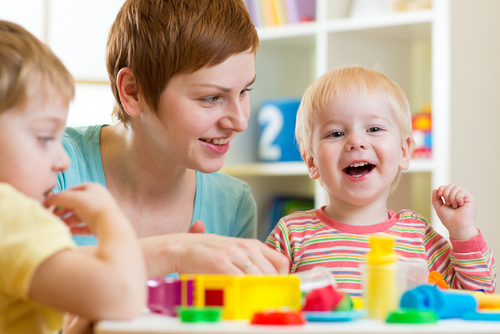 There are many keys to finding a good preschool in Gilbert. It is a rare combination of factors including environment, location, safety, and of course the curriculum. A Gilbert preschool, like other quality early learning centers is linked to positive academic, social and emotional outcomes of children in later life. Early childhood education lays the foundation for helping children become successful, contributing members of society. This is why it is very crucial that you take your time to select the best preschool in Gilbert for your child. Depending on where you live, this may mean starting your search several months earlier to be able to get a chance in a top school. There are key things every parent should look for in a good preschool. Because this is probably the first time in your child’ life that he or she is going to be separated from you for an extended period of time, it is essential that the new relationship with the teacher be positive and nurturing. Every parent wants both a good preschool curriculum as well as a nice teacher for their child because they know that strong positive relationships between children and their teachers directly impacts the children’s overall success in later life. So, when you visit, be sure to observe the interaction between the children and teachers inside and outside the classroom. Do the teachers smile while with the children? Are they enough to provide every child the care and attention that he needs? Is there a strong connection between the teachers and children? You may also consider asking other parents about their children’s experience at the school. Other than being loving and caring, teachers in good preschools are qualified i.e. they have training in early childhood development, at least 2 years of college education, as well as emergency training. They should also be enthusiastic, responsible and well-prepared to care for the needs of your child. Above all, the school you choose should also have staff members that share your philosophy about discipline, sleep and feeding. A good preschool has a curriculum that is well-designed to stimulate the development of children and makes their daily lives more fun. Therefore, try to find a school that has a wide variety of activities in its daily schedule including, cognitive development, socializing, physical activities, group programs, meals and snacks, crafts, individual activities etc. So remember, find the best for your kids. Give them good nutrition, and take care of them. Starting with a preschool in Gilbert is a great way to start.